With mission-critical applications being moved to the cloud like Customer Relationship Management, Financial transaction processing, Electronic Medical Records, etc, the need for a reliable Internet connection is very important to your business. One strategy to provide extra reliability is to bring in a second Internet connection. With a load balancing firewall, two Internet connections work together to provide redundancy in case one connection fails or has issues and smart routing for your client applications. The system logged 1000 blocked attacks over the past 16 hours. This is why it’s so important to keep your firewall security software current! You’re in a situation where you have a great working telephone system. It doesn’t have a lot of crazy bells and whistles, but it gets the job done. Phones ring, calls get transferred, everyone has their own voicemail, etc. But you hear that you can SAVE MONEY by switching to a new Voice over IP system. Every sales pitch you listen to ends up the same: You need to REPLACE all your phones and controller box. That’s NOT saving money! In this example, the overflow SIP carrier is Digium Cloud Services with it’s metered SIP trunk offering at one and one-half cents per minute. It’s easy to do a cost comparison if you can see your current phone bill. 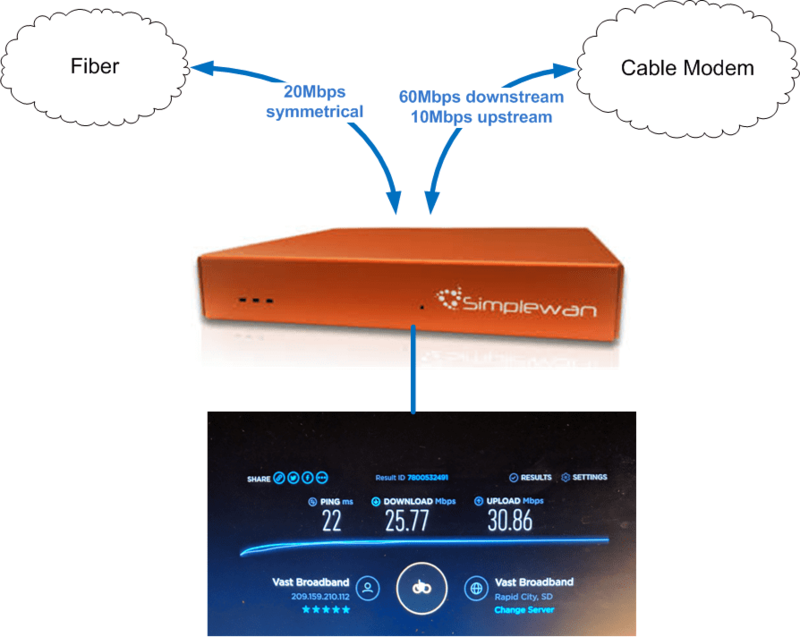 We can compare what you are paying now to what it would cost to buy a gateway and the SIP trunking services. Shoot me an email at chris@veazeytech.com or text 605.381.1059 and let’s talk!